This post comes from Emilie Murphy at POWr. Headquartered in San Francisco, POWr’s mission is to provide customizable, easy-to-use and affordable solutions to help small businesses grow. As a Jimdo user you no doubt already know how easy it is to build your own website without needing to be a coding expert. If you’re looking to do more with your Jimdo Creator website, did you know you can add extra functionality by using apps from outside of Jimdo? At POWr we’ve created everything you need for effortless growth, all in one place. With over 50 free plugins available, you can be sure you’ll find what you need for your website. You don’t need a web developer and there’s no steep learning curve because all of your plugins can be edited in the same POWr Editor and managed from one central dashboard. To install a POWr plugin on your Jimdo Creator website, first set up a free POWr account. Then return to your website and add a new element. Select POWr Plugins from the Elements Menu (under Add-on Elements), follow the directions, and you’ll be on your way! The question is, what do you want to do today? Getting people to visit your site is often the first hurdle, but encouraging them to take action before leaving your site is the next step. These are known as conversions and can include sales or newsletter sign ups, for example. There are many different ways of getting your visitors to take action: using strong action words in buttons is one, or you can try changing your button color to red. 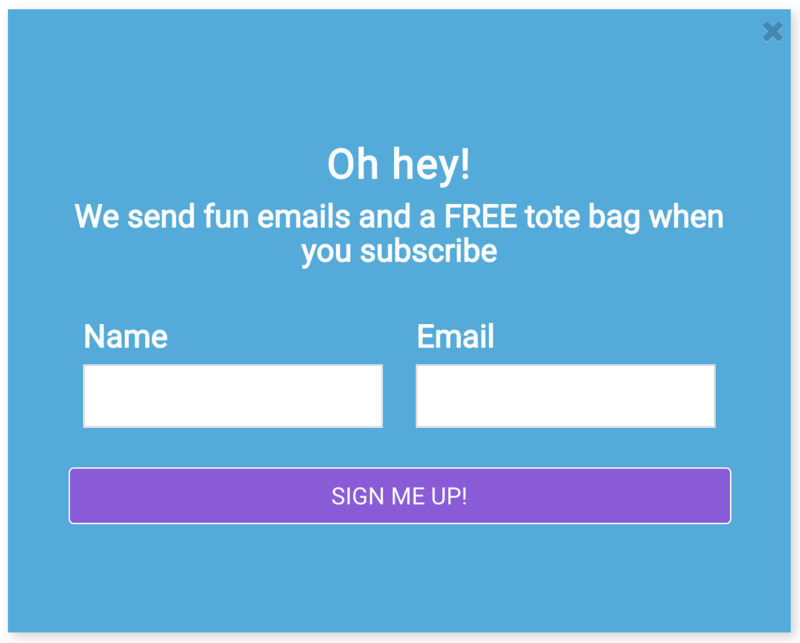 A great way is by using an eye-catching popup. If done well, these can get your visitors to take action 9.3% more than not using them. The great part is you can choose when to display them. You can set a time delay, for example or even show them if a visitor is about to leave your page with an exclusive offer or an opportunity to sign up to your newsletter. Demo Popup on Jimdo now! It makes sense that any successful business needs a following. Building that following can be tough, but it’s important not to miss any opportunities. In this case, we’re talking about social media. 82% of small business owners use social media sites to help grow their business and this can be useful in a number of areas from improving customer service and satisfaction, to marketing and brand recognition. The best part is, it’s really simple! Use a social feed to display your social media accounts on your website in an engaging gallery and allow visitors to get real-time updates and share content. Make sure too to use social media icons in the footer of your webpages, for example, for quick access to your social media accounts. Demo Social Feed and Social Media Icons on Jimdo now! Every business needs to collect information from their customers and information is hugely valuable. It might be an order form, an email subscription list or even a simple contact form. Whatever you might need, you can build it with Form Builder. This is such a powerful plugin where you can use conditional logic, which means you only show certain questions based on a user’s previous answers. You can also break down your form into different steps, making it easier to digest. The best part is that you’ll never miss a submission as you can set up email alerts or even collect all the submission information in a Google Sheet. Another great way of collecting information about your business, product or service is through Comments, where users can leave you reviews, star ratings and other comments so you’re always on top of feedback. Demo Form Builder on Jimdo now! A great way of getting your site visitors engaged is by creating a sense of urgency, which can help to increase sales by 332%. You can achieve this by creating a clear, time-limited offer that drives more clicks to your button and displaying it alongside POWr Countdown Timer. You can countdown to an event, product launch and more! This powerful plugin can be customized to fit in with the design of your site and you can decide what happens when your countdown ends, such as displaying a message or link to another page on your website. Demo Countdown Timer on Jimdo now! Supporting customers is another great way of building up your business following and loyalty through great customer service. The first step in a positive experience is making sure that your site visitors can find the answers they need. A great way of doing this is through an FAQ. You can put this on any page in your Jimdo site and the layout is totally customizable. You can use an accordion-style layout so that it’s easier to browse through questions, or even add a search bar. Another great option if you have a Facebook Page for your business is to use Facebook Chat. It means you can offer live chat straight from your website to talk to customers and solve any problems in real time. This can help you improve your bottom line too, which is always a bonus! Demo FAQ on Jimdo now! All the POWr plugins are completely customizable so you can make them fit perfectly with the design of your Jimdo site, from colors, fonts, sizing and even animations. The great part is that you don’t need to worry about how your plugins look on other devices because they automatically adapt to look good on any screen. Create a free POWr account to get started and find out how to add your plugins to your Jimdo site here. Once you’ve tried these plugins, don’t forget that there are over 50 others to try in the POWr library. There’s so much you can do with Jimdo and POWr combined and we’d love to hear how you get on!